The Cardinals used a quick, high-scoring backcourt and a deep frontcourt full of productive forwards to win a national championship. Senior leader Peyton Siva and center Gorgui Dieng are both gone but many of the important pieces are back for the Cardinals to repeat as national champs. 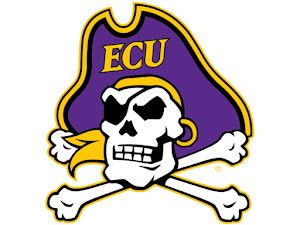 Plus, a move to the easier American Athletic Conference from the brutal Big East should further help out the Cards. Backcourt: Russ Smith flirted with the idea of going pro but decided to return for his senior season. "Russdiculous" should enter the year as a Wooden Award candidate thanks to his high-scoring potential. 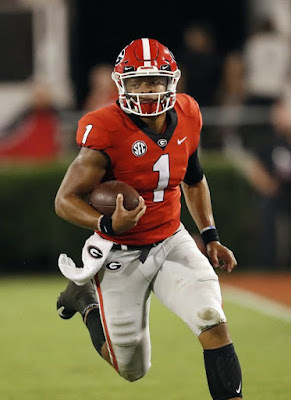 Smith can score in a ton of different ways and can make plays on the defensive side as well. Though, Smith has proven throughout his career he can make stupid plays and drive Rick Pitino mad. Hopefully, entering his senior year, he will be more mature. 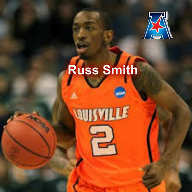 Where Smith will start is a question; he isn't a point guard but Louisville doesn't have a proven PG on their roster. Junior Wayne Blackshear was a huge recruit a couple of years ago but hasn't seen too many minutes yet. Blackshear has good size (6-5) and can help in a lot of different ways. Junior Kevin Ware became famous after a scary broken leg in last year's tournament and it is tough to imagine him playing much this year. Though if he does, he provides hustle and defense. Freshman Terry Rozier will get the chance to start at point guard with Siva gone. Rozier is extremely athletic and can beat defenders in a lot of different ways. JUCO transfer Chris Jones will bring experience and smarts and is a less-risky option than Rozier. Four-star commit Anton Gill should get minutes at shooting guard and is extremely dangerous in transition and has the ability to make highlight plays. Frontcourt: Luke Hancock, a former George Mason transfer, had a dream NCAA tournament and has the potential to have a huge 2013-2014. Hancock brings maturity on the wing and is an extremely dangerous shooter. Hancock brings size at 6-6 and can play a number of different positions including small forward and shooting guard. Sophomore Montrezl Harrell, the top recruit entering 2012, showed flashes of greatness last year. Harrell has great moves in the low post and can stretch the floor at times. Harrell has good rebounding skills and has proven to be a quality defender at times. 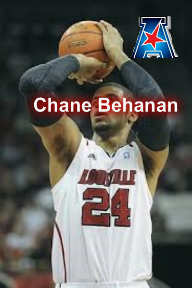 Junior Chane Behanan is a little bit undersized and it isn't known what position he will fill in at but has the jumping ability and potential to be a monster this year. Behanan isn't too polished of a shooter but can make some shots. Behanan helps on the glass and has a knack for getting contact and making shots at the line. Senior forward Stephen Van Treese gives the Cardinals much needed size and maturity. His career so far his been filled with injuries and offensive struggles but looks ready to make an impact this year. Van Treese is a proven defender and uses his big frame to pull down rebounds. The addition of forward Akoy Agau, a talent from Omaha, Nebraska gives Pitino yet another high-potential forward. Agau is raw on offense but is athletic and also brings size and strength in the paint. If Smith proves to be smarter and continues to be a dominant scorer and Rozier becomes the second-coming of Peyton Siva at point guard a repeat is a real possibility. Though size in the frontcourt; Behanan is just 6-6 and Harrell is just 6-7 could be an issue even in the weaker American. This year won't be easy; it never is, but the Cardinals once more have the talent to rule the college basketball landscape.